I am about to launch my 18th book into the market and of course there is a mix of excitement and anxiety. The intended readership is new cooks, of whatever age and whichever gender. The book is illustrated and designed by the talented Evi O. My hope is to attract more and more tentative cooks into the kitchen and introduce them to the joys of cooking for themselves and their friends and family by smoothing the way and explaining the techniques and ‘why’s’ that can loom as stumbling blocks for the inexperienced. I had a teenager in my mind as I wrote but various grandparents have assured me the book will be perfect for their grandchildren of many differing ages. October and November are set to be busy, touring various cities in celebration of my new book, The Cook’s Apprentice. I hope you can join me at an event near you! $7 per ticket + booking fee, includes nibbles and food platters. This is a free event, but bookings are essential. Contact Subiaco City Library for bookings and enquiries here. $50 per ticket, includes main course and glass of wine on arrival. Call Bannisters on 02 4455 3044 for tickets and enquiries. Available through The Bookshop Bowral 02 4862 1634. This is a free event, but bookings are essential. Tickets $10, which includes a drink on arrival. This is a free event, but bookings are essential. Bookings open 8 October. This is a free event, but bookings are recommended. Tickets are $65, and include three courses. Tickets available from Mary Ryan Noosa. Contact noosa@maryryan.com.au or 07 5455 4848 for bookings and enquiries. Tickets $5, which includes supper and coffee/tea. Book now through Barossa Library on 08 8563 8440. Please check this page for upcoming events regular updates. Newsletter 54 – A bit of history. I was lucky to visit this exhibition at the Art gallery of South Australia with a few of my fellow French students just days before it closed. Many thanks to frenchwithnicole.com.au for organising the day. What a splendid show it was! And what a beautiful gallery it is. There were not too many people, it was possible to stand in front of any painting for as long as you wanted and, dare I say it, far fewer visitors snapping away with their phones. Many of the works were familiar from visits to the Quai d’Orsay in Paris but the way in which the show was curated was exciting. The works were grouped to show how these much-loved artists used colour in new ways, starting in the first room with rich blacks and deep tones, moving into a room of snowy scenes with blue reflections, then works of blue and green, then rose and violet. The walls of the various rooms were painted in complementary colours to show off the paintings. 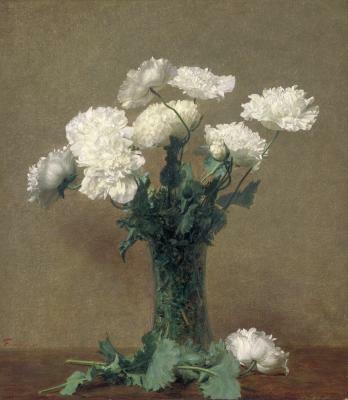 A cool lavender for the snowy paintings, a deep blue-green in the blue and green room. On these chilly mornings I am reminded of the superlative breakfasts I enjoyed at Ballymaloe House in County Cork, Ireland. The porridge was one of the highlights. It was made from stone ground oats, alongside was a jug of cream and unrefined brown sugar that melted almost instantly into toffee-like trails. Steel-cut oats, or pinhead oats, are different from the rolled oats that are more commonly used. Rolled oats are first steamed, then pressed between rollers and dried. They absorb liquid more quickly and thus the porridge cooks faster but with a loss of flavour. For steel-cut oats, each oat ‘groat’ is split into several nubby pieces. 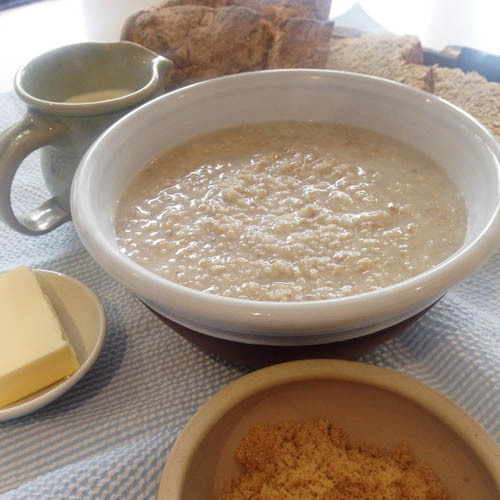 Usually simmered with water (sometimes pre-soaked) the porridge retains much of the shape of the groat, resulting in a chewy and nutty-tasting porridge. Being made with water you can add cream to this bowl of porridge without any twinge of guilt. As a child my favourite was hot milk, brown sugar and a lump of butter. I enjoyed watching the butter melt into a golden pool on the surface of the bowl before I stirred it in and ate it. I have never been a fan of slicing raw fruit such as bananas into my oatmeal. And I would prefer to have a separate bowl of stewed fruit rather than combining them. 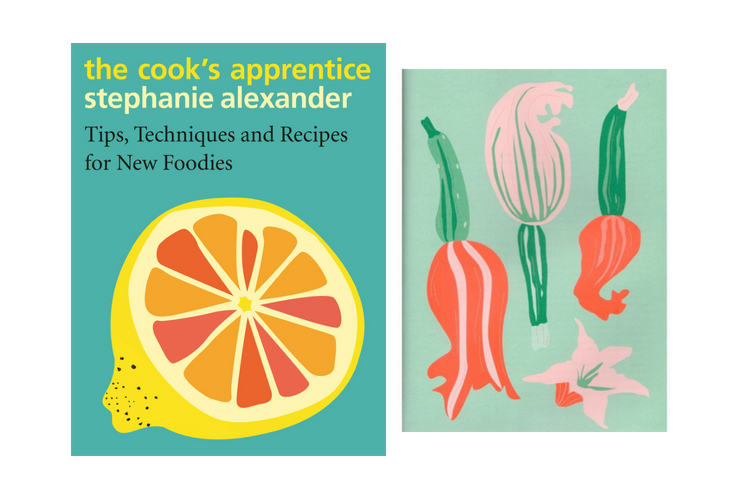 I’m excited to announce that my new book, The Cook’s Apprentice, is at the printers and will be released in October 2018! This book was inspired by The Cook’s Companion, but this time I found myself thinking of young people just starting to cook. The new cooks I know often have many questions about ‘how?’ and ‘what is it?’. 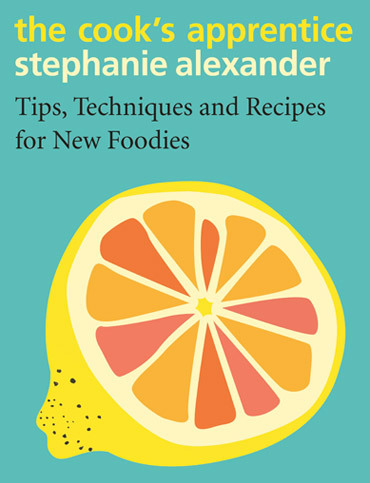 This new work concentrates on achievable (but of course delicious) recipes, highlighting and explaining each technique as well as identifying unusual ingredients and where to get them. I had a curious teenager in mind as I wrote … but I know that new cooks come in all shapes and sizes, all genders, and all ages. Circumstances change in families, and sometimes even older ‘non-cooks’ find themselves becoming ‘new cooks’! 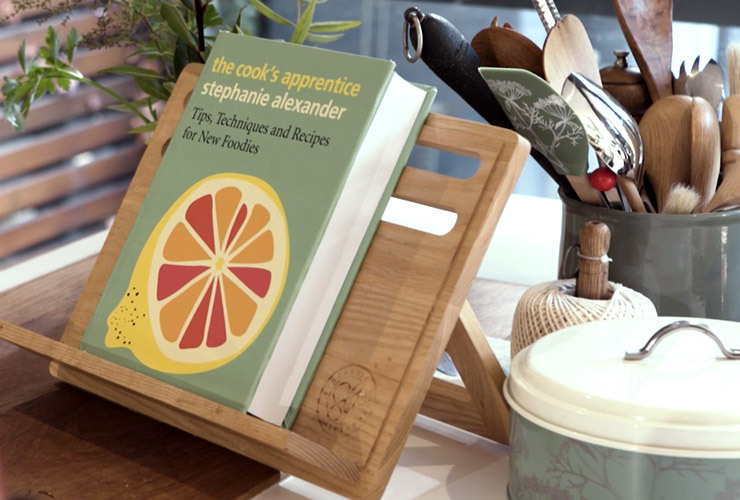 There are 54 chapters and 300 recipes. The language is straightforward and where a recipe has been transferred from some other work, I have scrutinised it to ensure that it is crystal-clear and never confuses. Each ingredient has its quirky and delightful hand-drawn image by artist and designer Evi O. Last week I had the excitement of seeing a mockup of the final book whilst doing some short video clips for eventual social media promotion. The Cook’s Apprentice will be available in bookstores and online from 1st of October 2018. Available from Booktopia and Angus & Robertson.